Do you remember SkyTrain? 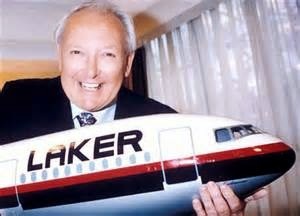 It was Freddie Laker who launched low-cost flights to the US in 1977, only for Laker Airways to go bust five years later. Since then, others to have tried cheap flights to the States. Norwegian Airlines started offering budget tickets between London and New York last summer, though the achievement was marred by the carrier falling to an annual loss for the first time in eight years. Zoom Airlines, which ceased operations in 2008 is another, while Icelandic carrier Wow Air, will later this year launch £99 tickets from London Gatwick to two US cities with a stopover in Reykjavik. However, it is Ryanair that we are told, will get the closest to cheap flights to America. Ryanair’s board has approved plans to start flying to the United States, bringing the budget airline’s long-awaited foray into long-haul flights a step closer. The Irish carrier said it is talking to manufacturers about buying planes to serve new routes between various European airports and 12 to 14 American cities. However, the waiting lists for new planes mean the transatlantic service will not be possible for several years. "European consumers want lower cost travel to the USA and the same for Americans coming to Europe. We see it as a logical development in the European market," the company said in a statement. "The business plan is there but it's dependent on attaining viable long haul aircraft and we estimate that's four to five years away." The company has agreed to buy up to 200 planes in 2013, though the first of its new Boeing 737s will not be delivered until 2019, illustrating the large backlog of orders across the industry.The airline has made no secret of its desire to eventually fly to America, with chief executive Michael O’Leary claiming repeatedly that the firm could offer flights for as little as 10 Euros. 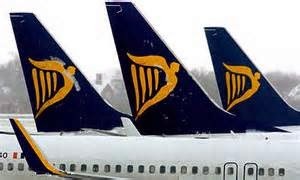 Ryanair executives have previously said that a transatlantic carrier would likely operate under a different brand name to the short-haul operations. The plan follows in the contrails of several airlines that struggled to make money from rock-bottom fares to the States. 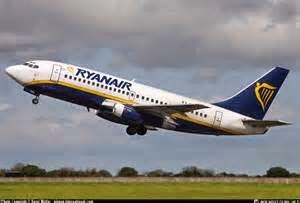 “We’ve seen what others have done, we’ve listened and observed what’s gone on in the past 12 months and now have a better view on how we’d like to launch it and market it, and what the product would look like," Ryanair's marketing director Kenny Jacobs told the Financial Times. Ryanair is already Europe's largest budget carrier with 86.4m passengers last year, and it has embarked on an ambitious plan to increase its traffic to 150m passengers by 2024. 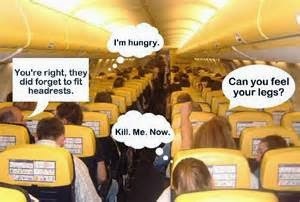 I only hope Ryanair put customer care and comfort before profits! Trekking in Nepal is delighted to welcome you tiny but amazing country. Natures to renew one’s own self regard to relive of realize beauty of Nepal. Treks Himalaya an indoor outdoor trekking and tours operative company takes you that further way to guarantee you has an unforgettable adventure that you have been dream with Treks Himalaya is part of your choice. We specialize to organize:- Trekking, Helicopter Tour, Peak Climbing, Mountain Flight, Honeymoon Tour, Sightseeing, Rafting, Jungle Safari, Pilgrim’s Tour, Hotel Reservation, Air Ticket, Tibet and Bhutan Tour many more.